Photo 086. Lütjens Inspecting the Prinz Eugen. 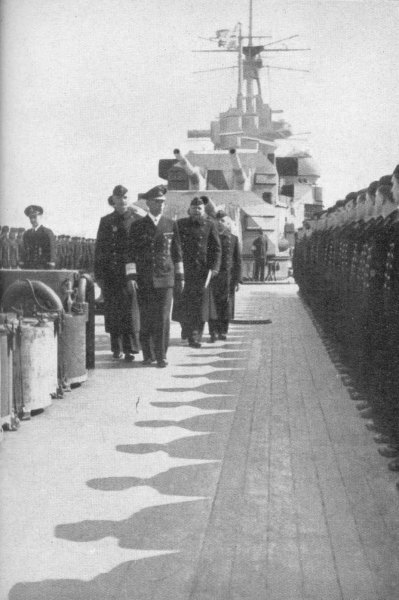 Admiral Lütjens Inspecting the crew of the Prinz Eugen in the morning of 18 May 1941. Following behind are Captain Helmuth Brinkmann and the First Officer Otto Stoos.